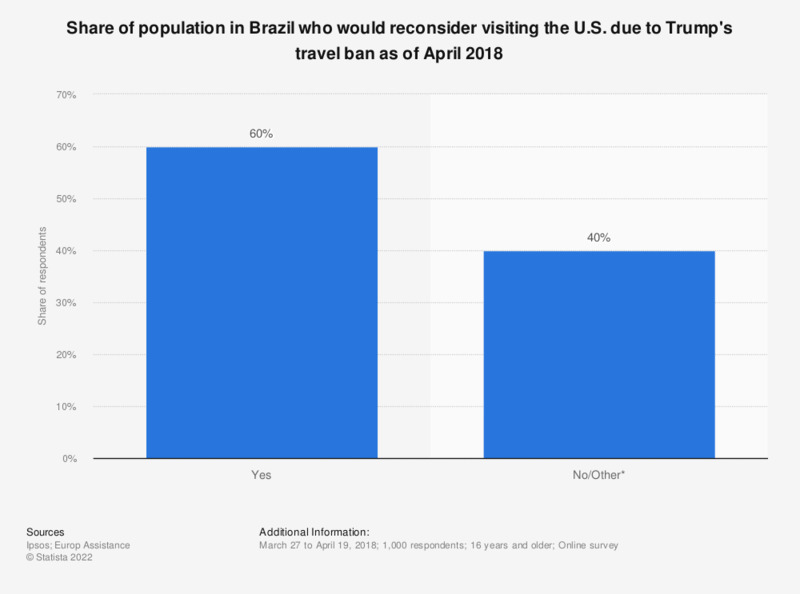 This statistic presents the share of Brazilians who would reconsider visiting the United States due to the travel restrictions imposed to foreign nationals by the Trump administration. On a survey, up to 60 percent of respondents from Brazil said they would reconsider visiting the U.S. for this reason. * Figure calculated by Statista based on the source's data.